Underwater diving cruises in the Red Sea complete the all round services offered by Scuba Swiss and are the best possible way of experiencing every aspect of the marine world. In 1992, the passion for this particular sea, together with the desire to satisfy our clients by offering them new excitement, led us to discover new frontiers in underwater tourism in the Red Sea, until then almost unknown to the sector. These southern Egyptian itineraries have changed increasingly over the last few years since the Egyptian government has started to establish natural marine parks within the Red Sea area. At the moment a week long cruise can offer the delights of underwater diving north of Hurghada. The so-called “wreck itinerary” or “north safari” offers a series of underwater diving experiences along the coral reefs that lie facing the Hurghada Archipelago, followed by a northward trip towards the islands of Gubal, Abu Nuhas ( a coral reef well-known for its wrecks including the Carnatic and the Giannis D. wrecks) and Sha’ab Ali where an underwater diving expedition leads to the exploration of the Thistlegorm, a giant English merchant ship with its cargo of arms still aboard and intact, that was sunk during World War II. Another week-long cruise offers the possibility of travelling southward to the area between Elphinstone and Wadi Gimal, one of the most fascinating underwater itineraries provided in the Red Sea, where amazing colors can be appreciated along with the experience of coming into contact with sharks and other species of giant deep-sea fish. There is also a cruise of one or two weeks to the Marine Parks such as the Brothers Islands and Deadalus that provides the more demanding divers with the very best that today’s underwater world has to offer. 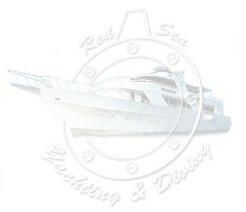 Obliging crews and expert dive guides are the main stays of a professional and seaworthy staff. All our cruisers were carefully designed with both your safety and comfort in mind. Our boats have state of the art diving facilities such as technical equipment and enhanced compressors. Such accommodation and modern diving facilities provide an overall enhanced holiday and diving experience in terms of relaxation, comfort, well-being and safety whilst still maintaining a sense of adventure. A diving holiday on a live aboard is well worth the time and money. As a rule you must have acquired a minimum number of dives (currently set to 50 logged dives or more for Marine Parks). This is a rule set to safeguard your safety and the safety of others on board. With most dives conducted from zodiacs, you will need to be fairly fit to get back on at the end of your dive, even with the assistance of the crew member. Some dives are organized from the stern platform with dive ladders. There are also a few other considerations which you must address before considering a live aboard. It is important to remember that these vessel stay out at sea for one week or more without returning to land. To embark on a live aboard you'll have to be prepared to stay out at sea for six nights or more and although most of the Boats offer ample space in accommodation and living quarters, you will not always have a chance to land on islands or the mainland. It is also important to consider that unless you are part of a group you will interact with other likely minded divers for the duration of your trip.The overall live aboard experience has no parallel in terms of dive quality, remoteness and a sense of adventure. Three hot meals are provided per day with snacks in between the diving, complementary mineral water, tea, coffee is provided, and alcoholic beverages can be purchased onboard. The crews on our vessels are experienced and ensure you are looked after during your trip. Typically, from 6 to 8 crew members are onboard each vessel. These are cabin and lounge attendants, deck hands, and every crew member is trained for dive cover and assistance. All vessels have a dive guide on board and for the big boats 2 dive guides. In the Egyptian Red Sea, our vessels are anchored at the most convenient Port and set sail according to the demands and itineraries that are established each year. The fact that there is an office in the vicinity that is able to provide help whenever needed is obviously an advantage as far as service and safety is concerned. Before departure, contact our sales offices which are at the complete service of its clients to help in the renting of any equipment, reservation of a specialty course and the solution of last minute problems.